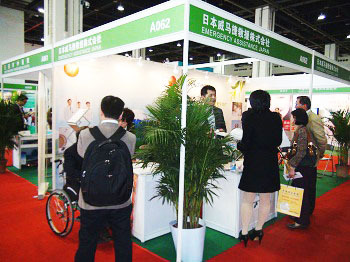 Med in Japan put up the booth at “Shanghai Medical & Healthcare Tourism Show” from April 2nd to April 4th 2013. A number of medical coordinators in China visited Med in Japan booth and had a discussion with our staff. The topics of discussions were related to the advantage of Japanese medical care and our medical coordination services. We had an opportunity to exchange useful information about medical collaboration with coordinators in China. Med in Japan is willing to contribute to the development of medical exchanges around the world as well as hold more activities between China and Japan.